Over the past couple years, I have learned how different traveling is when driving versus flying. Usually it entails a whirlwind of emotions and going non-stop with the exception of something like a two hour walk down the Hudson River. (since as you know, I have a thing about seeing the Statue of Liberty when in New York City!) One thing is for certain, I use the heck out of essential oils to help manage stress. Is it just me, or does it seem like life’s little speed bumps come at the most in opportune times? In the span of month, I have had my fair share of problems (which of course are just a by-product of my uber-blessed life) pop up. Ones that if I ran the world, would have happened either a week sooner or a week and a half later. But they are going to come when they come, and I all I can do is roll with the punches and do my best to try to remember to breathe. From wasp infestations, severe hail damage and the insurance “fun” that comes with it, awesome opportunities that required immediate attention, switching days and nights to finish a long-term project (I write best in the middle of the night), last-minute schedule changes, my strict eating regimen not containing enough sodium and resulting in not retaining fluids, and a few other little hiccups that are magnified while sleep-deprived and in “sprint”-mode. So tonight I am writing this from a hotel room. I am super “thrifty” and hate springing for one, but instead of packing in those extra meetings I would have liked to, I am listening to my body and taking some downtime. I am remembering that only a couple years ago my body would have never let me travel like I have been the past year. I am grateful that I have the ability, means, and the time to stop and rest for an evening. ClaryCalm: This is one of my new favorites for dealing with unexpected “surprises”. It has been my go-to monthly blend for a while, but after using it last month on an unusually stressful plane ride, it has become one of my favorites for anytime I need a little extra calm in my life too. It is a lovely blend of Clary Sage, Lavender, Bergamot, Roman Chamomile, Cedarwood, Ylang Ylang, Geranium, Fennel, Carrot Seed, and Palmarosa. Balance Blend: This blend has been one of my faves for a long time. It helped me calm down and rationally figure out a game plan a couple months ago when I was stuck in Denver for 16 hours. It is a grounding blend and has Spruce, Ho Wood, Frankincense, Blue Tansy, and Blue Chamomile. Serenity Blend: It is called the Calming Blend for a reason! This one helps me off the ledge and I use it nightly when I sleep. It is a blend of Lavender, Marjoram, Roman Chamomile, Ylang Ylang, Hawaiian Sandalwood, and Vanilla Bean. Wild Orange: Although I personally am not a huge fan of citrus smells, this one is a lifesaver when I am low on energy and stressed to the max. The additional mood support doesn’t hurt either! Elevation: aka sunshine in a bottle. I have a car diffuser and this one is running in it almost constantly. It is absolutely critical when I feel like I am running on empty! It is a blend of Lavender, Hawaiian Sandalwood, Tangerine, Melissa, Ylang Ylang, Esmanthus, and Lemon Myrtle. Lavender – This one needs no explanation. Lavender is famous for it’s calming properties and I absolutely can attest to that! Forgive Blend – Sometimes, ya just have to let it go.This favorite contains Spruce, Bergamot, Juniper Berry, Myrrh, Arborvitae, Nootka, Thyme, and Citronella for a blend that will assist in releasing feelings that might be holding me back and things over which I have no control. Melissa – This is my Break Glass in Case of Emergency oil. In the rare occasion I feel like I am well-deserving of a mental breakdown but don’t have the time to properly have one, Melissa is the oil I use. It can take me from 60 to zero in no time at all. -Taking a 10 minute time out. No electronics or distractions. Period. If you’ve never used essential oils in times of stress, try it. It’s really as simple as opening the bottle and inhaling. Isn’t simple and breathing something that is appreciated during stressful times anyways? If you don’t have the oils and you need to obtain them, you can either get them here or drop me a line to get the same kickin deals on them I do! 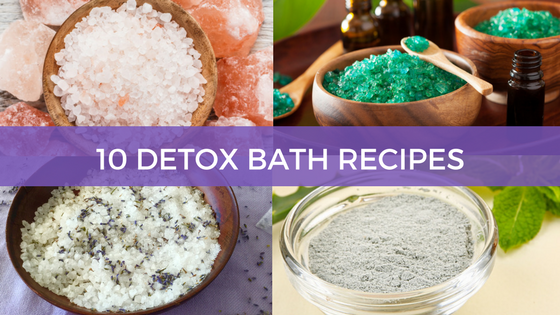 Since making life easier is something I love to do, I have made some easy to make, second-nature to use, stress busting, diffuser recipes for you.